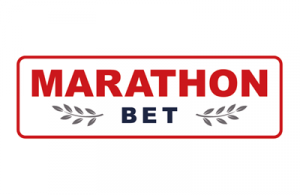 Marathonbet is one of the best UK bookmakers out there. In business for over 20 years, Marathonbet has been operating an independent sportsbook on a global level. The primary goal Marathonbet has for its players is for them to have a great time betting. The company doesn’t rely heavily on promotions to draw in its audience. Instead, it leans heavily on the positive word-of-mouth marketing that stems from its good reputation for being a fun place to make some great bets on thousands of events. There’s also a Marathon Bet app for Android and iOS that can be used to access the many great events Marathonbet has to offer. Marathonbet is no longer offering a special bonus for new customers, so there is no special mobile promo code. Mobile users are subject to the same offers as all Marathonbet users. While many bookmakers offer special promos, Marathonbet doesn’t rely on promotions to attract their audience. The app is one appealing way to attract sports bettors because it gives access to all markets for all sports. Not all mobile sports betting apps give this level of access. To get the app, you can click the mobile phone icon at the top of the Marathonbet website. If you are accessing the website with your mobile browser, you can click the menu icon at the left. When the menu opens, you can click “Casino App” and you will be taken to a page that will allow you to download the app to your device. If you are using Android, you will be prompted to download the Android app. If you are using an iPhone, iPad, or other Apple device, you will be prompted to download the iOS app. If you don’t have an Android or iOS device, the mobile website is compatible with Chrome, Safari, Opera, and the Yandex Browser. Any promotions that Marathonbet may offer can be accessed through the app or your mobile browser. When Marathonbet has a bonus offer, there are two common types of offers that they have, aside from new customer promotions. Users can collect different amounts based on what the offer is giving. For instance, a Best Odds Guaranteed offer on horse or greyhound races allows you to take an early price in your single bets or multiple bets. Bets payout at whichever price is the highest after deductions have been made. There are different ways to collect more money so you can enhance your winnings and have an even better gaming experience. If taking part in a promotion is important to you and you want to use the Marathonbet platform, you can check for promotions frequently. Even when you’re not a new customer, there are offers for existing customers. To ensure you download the app and can take advantage of any promotions that Marathonbet may be offering, there are steps that must be followed. Below is a step-by-step guide on how to take advantage of all Marathonbet has to offer. You can register for an account before or after you download the app. If you register before, click the “Join Now” button on the website. On the registration screen, you will provide your personal details, account details, and certify that you are 18 years of age or older. You can also set your time zone, currency, and opt-in to receive emails with promotional offers. You may want to receive the promo emails so you are notified of existing customer offers. To download the app, simply visit Marathonbet using your mobile phone’s browser. You will be prompted to download the app for the device that you are using. If you aren’t prompted, you can click the menu icon on the left side of the screen to get to the “Casino App” link. You will be prompted to download the app for your iOS or Android device. If you don’t download the app or can’t for your device, you can use the mobile website with Chrome, Opera, Safari, or Yandex. To get started on Marathonbet, you will have to make your first deposit. You can make a minimum 5 GBP deposit using Visa, MasterCard, Maestro, Entropay, Skrill, Neteller, Trustly (minimum 10 GBP), Paysafecard, ecoPayz (minimum 10 GBP), boku by Neteller, or bank transfer (minimum 10 GBP). The money will instantly appear in your account. If a welcome bonus is available at the time you register for your account, carefully read the terms and conditions for promo codes and other important instructions. Marathonbet has offered free bet promos in the past, which requires an initial bet to be made to acquire a free bet worth a specific amount. Fulfilling activation conditions will get you a bonus. Once you have the bonus, you must follow the rules to be able to cash out. When Advancebet is available, you can use it if you have unsettled bets in your account. Advancebet lets you place additional bets when you don’t have enough money in your account. Of course, this is based on an evaluation of the unsettled bet outcome. If your Advancebet amount is higher than the amount you receive after a bet settles, Marathonbet absorbs the liability so you don’t have to worry about it. You can view your Advancebets from the “My Account” screen. This is a nice feature that allows you to keep going even if your account balance says that you can’t. If an Advancebet is in your favor, Marathonbet only absorbs what is owed to them. To make a deposit, you can use any of the 10 accepted methods. Visa, MasterCard, Maestro, Entropay, Skrill, Neteller, Paysafecard, and boku by Neteller have minimum deposit amounts of 5 GBP and there are no fees to process the deposit using any of these methods. You must deposit a minimum of 10 GBP when using Trustly, ecoPayz, or bank transfer. Again, there are no fees for using these methods. When making withdrawals, there are no fees. However, Visa, MasterCard, Maestro, Entropay, Skrill, Neteller, and boku require a minimum withdrawal amount of 5 GBP. Trustly and ecoPayz has a minimum withdrawal amount of 10 GBP. Bank transfer requires a minimum of 200 GBP. Credit cards can take up to 5 days to process, Entropay takes up to 5 days to process, a bank transfer can take up to 10 days, and eWallets can take anywhere from 3 hours to 48 hours to process. Reliable or Scam: How Safe is the Marathon Bet App? Marathonbet is licensed by the UK Gambling Commission and the Alderney Gambling Control Commission. To receive these licenses, an online bookmaker must meet strict requirements. One of the requirements is to ensure that people under 18 years of age aren’t using the website. Another requirement is to put resources in place that people can use to prevent gambling addiction or get help when they need it. As for the app, it doesn’t have many reviews in the iTunes store, so it hasn’t been given an official rating yet. Nonetheless, Marathonbet has been gracing the world of sports betting since 1997, so the company definitely has experience on its side. Despite the absence of a good welcome bonus, the Marathon Bet app is a nice feature because it gives players access to everything. It’s not a “pick and choose” app that gives access to certain types of sports or events. It’s not one that just allows you to watch rather than manage your account. This is an app that gives you everything that the website has to offer, allowing you to take your account wherever you go. If you have access to a data connection or Wi-Fi and you’re using an Android or Apple device, you should have no issue managing your account. How do I get the Marathon Bet app? Visit the Marathonbet website on your mobile device. If you are using an Android or iOS device, you will be prompted to download the app. If you’re not prompted, you can click the menu icon at the top left. Choose “Casino App” from the menu to be prompted for download. If you aren’t using an iOS or Android device or don’t want to download the app, the Marathonbet mobile website can be accessed using the Chrome, Safari, Opera, or Yandex browsers. Is there a Marathonbet promo code? No. Marathonbet doesn’t have a promo code available at this time. Is there a mobile Marathonbet promo code? No. There are no Marathonbet offers at this time for mobile users.